The Cirencester Growth Hub is now open for business. We offer co-working spaces, meeting rooms and Business Navigator support on our stunning campus at the Royal Agricultural University. 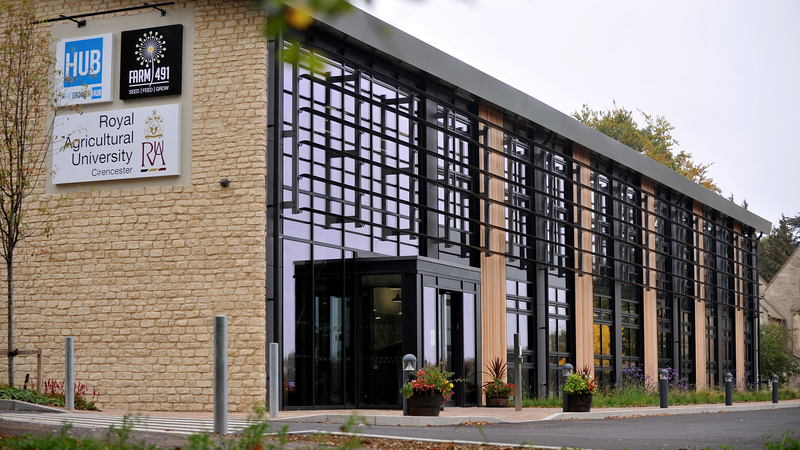 There's no need to book, visit us any time between Monday to Friday, 9am - 5pm for a tour and a taste of what the Cirencester Growth Hub has to offer. 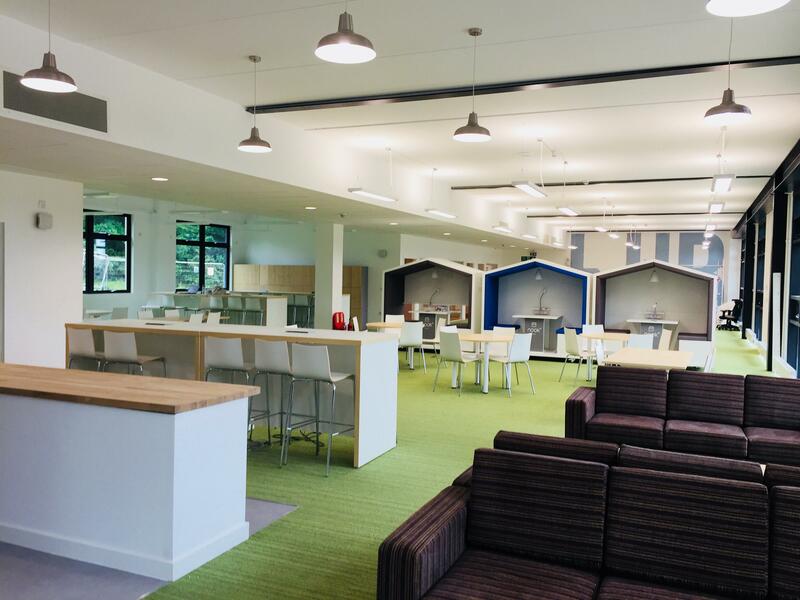 Nestled in the capital of the beautiful Cotswolds and placed in between the RAU and the Cirencester College, the Cirencester Growth Hub is the perfect place to work and meet like-minded professionals in a relaxed atmosphere surrounded by green spaces. 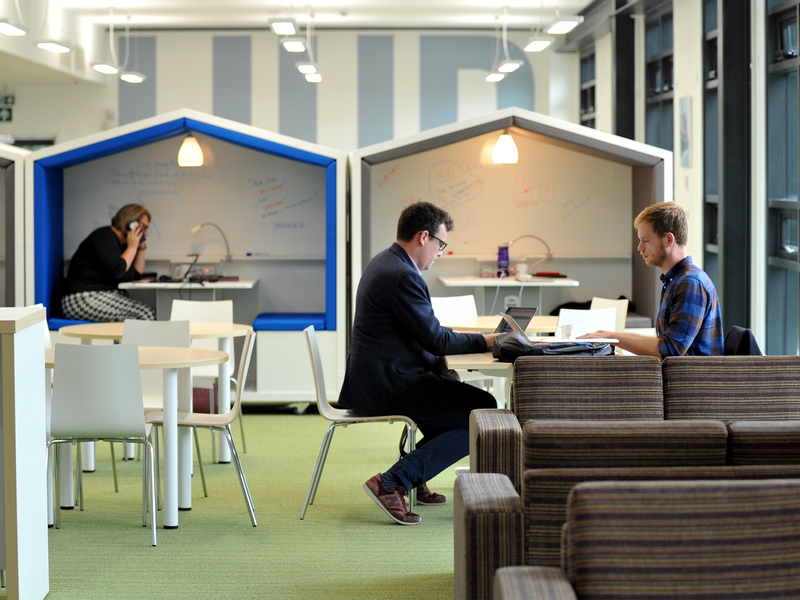 Whether you're a small business or part of a corporate team, The Growth Hub is the place for you. Promoting entrepreneurship, innovation and business growth in the area, the Cirencester Growth Hub provides support to businesses of all types in the region, from pre-start through to existing companies and organisations looking to grow. There are co-working and office spaces, meeting rooms, casual membership access, access to business advice and workshops, and free wifi, tea and coffee. You can also access support from Business Navigators on-site in Cirencester, and other services throughout The Growth Hub network. Hot desks, free tea, coffee and wi-fi. A great space for getting your head down or bringing clients for meetings. Just like all of our rooms, you can take advantage of our free wifi, tea, coffee and parking all day. Our largest meeting room, featuring a modular table that can be used for meetings, or training/workshops in a classroom style. Smart screen and white board provided. The space will seat up to 14 people. £35/hour or £140/day. 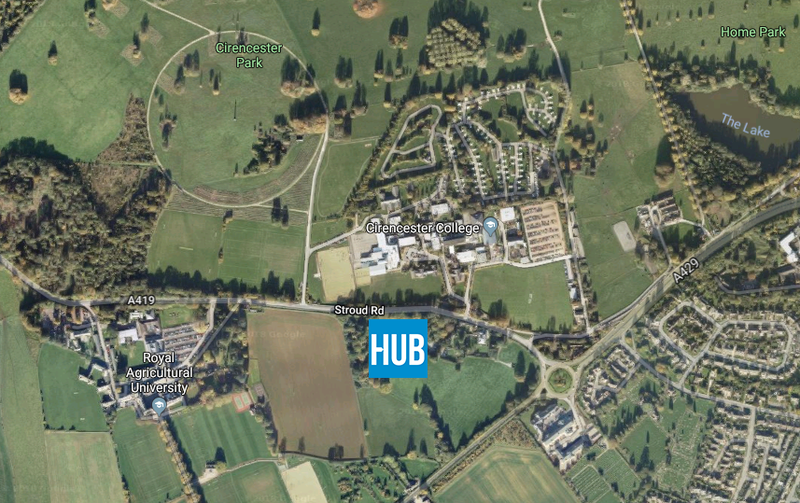 The Cirencester Growth Hub is based on the Royal Agricultural University campus. You can find the road entrance opposite Cirencester College and a footpath via the main university buildings. Free parking is available for Growth Hub visitors. To join as a member or book a room, click here.